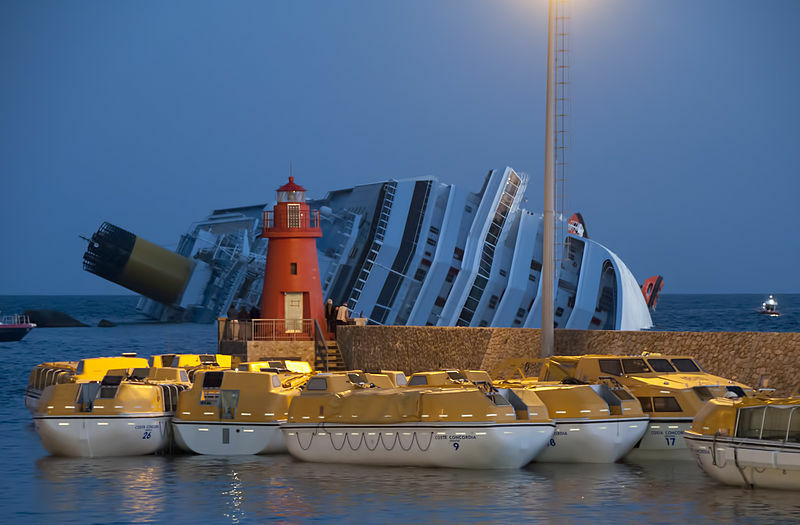 Disaster tourism isn’t anything new so it probably shouldn’t come as much surprise, though it is a bit maudlin, that the site of the Costa Concordia cruise ship disaster off Tuscany has now beome a popular tourist attraction. The ship itself is still lying paralyzed off the coast of the island of Giglio where it ran aground in January, costing 32 people their lives. In the port town of Santo Stefano, on the coast of mainland Tuscany, locals have organized boat tours to the site of the wreck about 10 miles away, charging each person about 10 euros to get close to the Concordia. The area where Concordia lies has traditionally been popular with scuba divers. “There has been a rise in the number of tourists coming for the day, with curious people taking photos of the giant sprawled on the rocks,” the mayor of Giglio, Sergio Ortelli, told the AFP. Alessandro Centurioni, Giglio’s environmental officer, told the AFP that he hopes the wreck will soon be removed. “The Concordia has become part of our landscape, but it has also spoiled it. Every time I see it, I feel the pain and sadness once more,” he said. Now that tourist season is in full swing in the Tuscan islands (Italy in August is prime vacation time), more and more people visiting seem to be adding the Concordia to their itineraries. 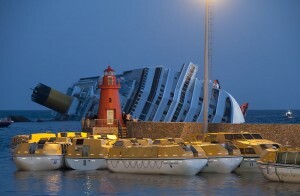 This disaster trend should continue in next year, as USA TODAY reports Costa Concordia will not be salvaged until at least spring of 2013. Taking your first trip to Italy soon? Learn everything you need to know when you get your FREE copy of The First Timer’s Guide to Italy by ItalyTravel.com contributor Kathy McCabe.